When Vaughn leaves his dead-end job as a school teacher in Cleveland, he has no idea what the future might bring. Trading snowy streets for sandy beaches, he spends his last dollar on a ticket to a remote Pacific island — a speck on the map where the locals spin tales of shipwrecks and dangerous waters. Before long he discovers that some of these stories are more than just legends. Looking only for work and a life in the sun, he instead finds himself drawn into a centuries-old international conflict: the search for the artifact that now lies submerged just offshore. 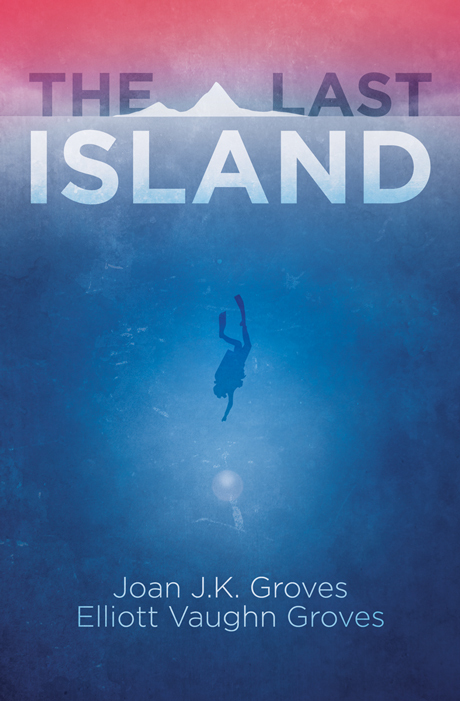 The Last Island is the first novel in a new trilogy by Joan and Elliot Groves. As experienced divers and onetime residents of the South Pacific, the Groves have striven to bestow a striking realism upon their protagonist’s world. Fans of thrillers, conspiracies, and historical mysteries will enjoy following Vaughn and his allies through their adventure. Married for forty-one years, Elliott and Joan Groves started their lives together in Cleveland, Ohio, where they got their M.A.(T.) degrees at John Carroll — Elliott in biology and Joan in English. From Cleveland to their dream island of American Samoa — where their son, Joel, was born — then back home to southeastern Pennsylvania, they taught for thirty-five years. Now retired, they like to write, jam on keys and guitar, bike and hike, volunteer, join in family and church activities, and visit Joel on the west coast. Elliott’s special interest is photography while Joan’s is horseback riding. Elliott certified to dive in the North Atlantic when to S.C.U.B.A. dive meant sticking a hose in your mouth and strapping a tank on your back. Joan is a green-fin diver who certified after Elliott taught her to swim. Diving offshore at various islands, they’ve lived in part the life described in The Last Island. Look for them in tropic waters dodging barracuda and razor-edge wrecks.